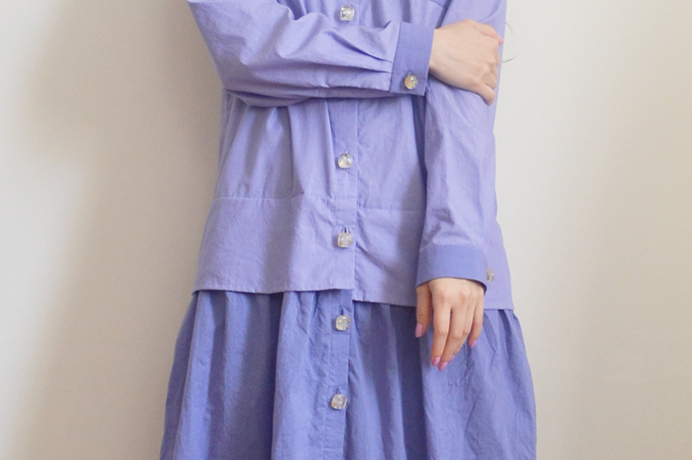 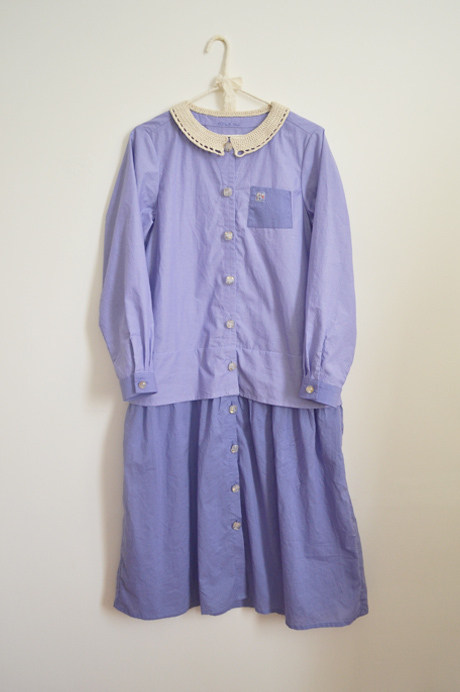 This is the final version of the commissioned shirt dress made with blue/purple-toned cotton fabric and cream coloured cotton yarn. Light blue/purple cotton with white dotted pattern in the weave is used for the shirt section and plain blue/purple cotton is used for the breast pocket, cuffs, and the skirt section. 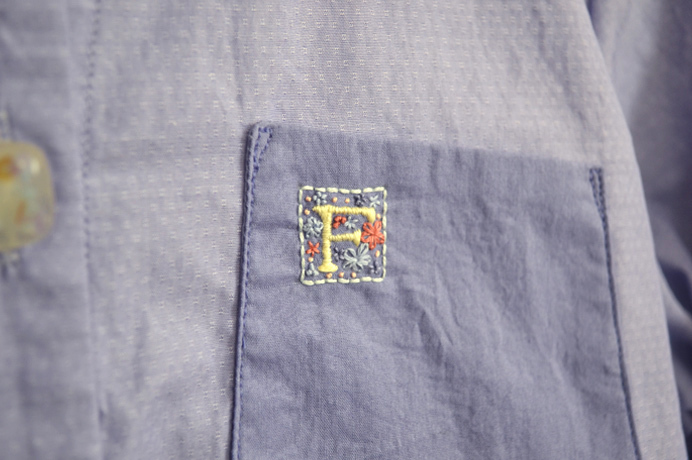 The breast pocket is embroidered with the letter F with some floral motifs around it. 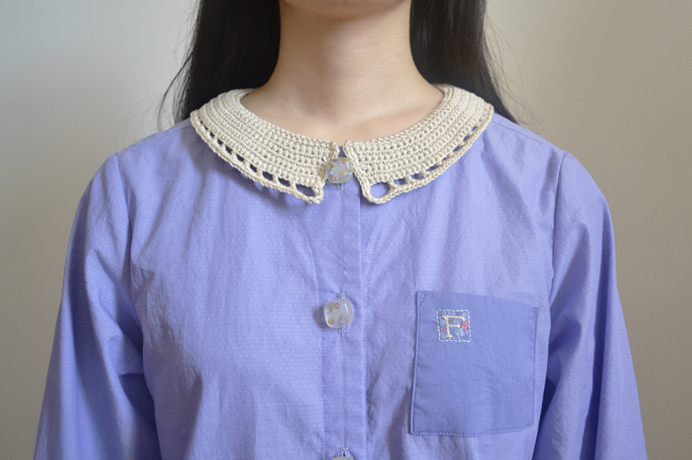 The top section is the same as the Smart Girl’s blouse from “minus the sun, night all day” collection with the crocheted collar and the odd-shaped breast pocket. 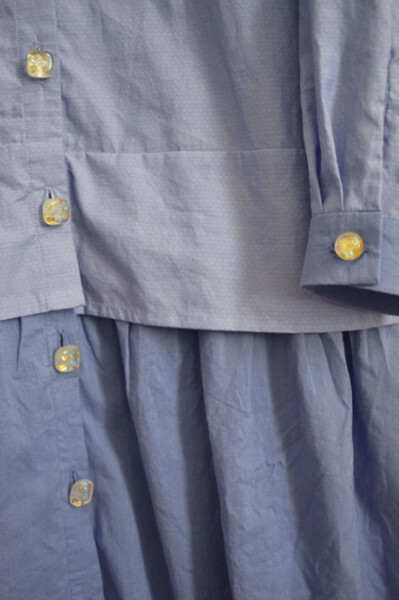 The bottom section is similar to the Suicidal Girl’s dress from “It rained into her room.” collection except that it has buttons all the way down to the hem making it a shirt dress. Also, the skirt has less gather at the waist and is much longer. 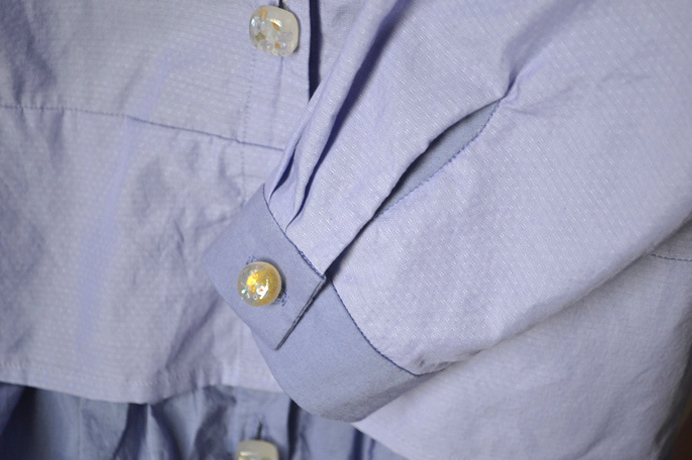 The square resin buttons on the front and the round buttons on the cuffs have beads and sequins in pale blue tone and some gold sequins. 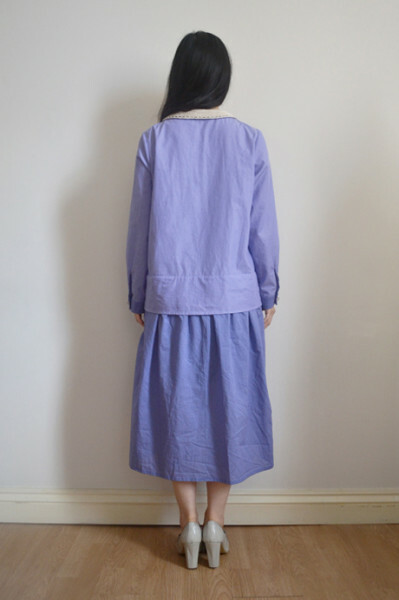 It is a size 12 so it might look loose on me here as I’m a size 8 but you get the idea.